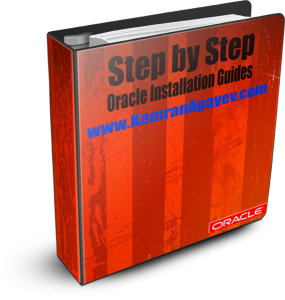 Step by Step Mastering Oracle Database Cloud Service – DBaaS – in one pdf now! After posting a few articles on DBaaS, I’ve decided to create a single pdf file and collect all my cloud related step by step practical blog posts in it. Click on the following image to download the pdf file and become Oracle DBaaS master! I will keep updating the pdf and hope it will be much easier fo you to get all articles in one shot! 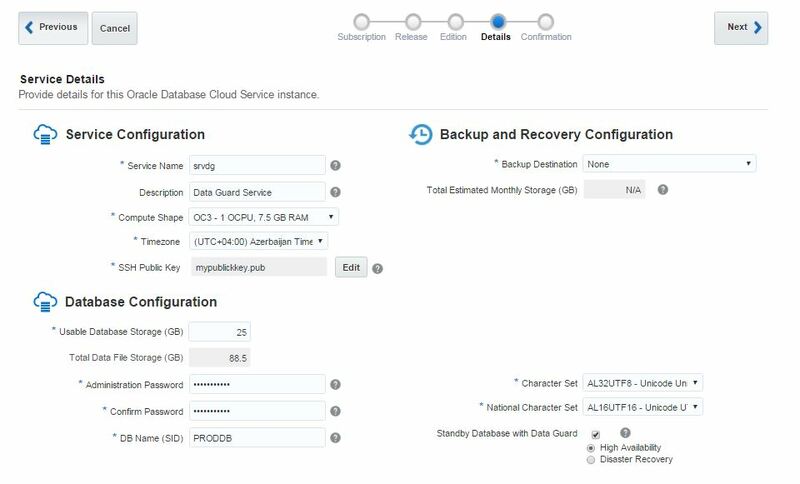 In the previous blog posts you have seen how to create a disaster recovery for on-premises Oracle Database by creating a standby database in Oracle Cloud. 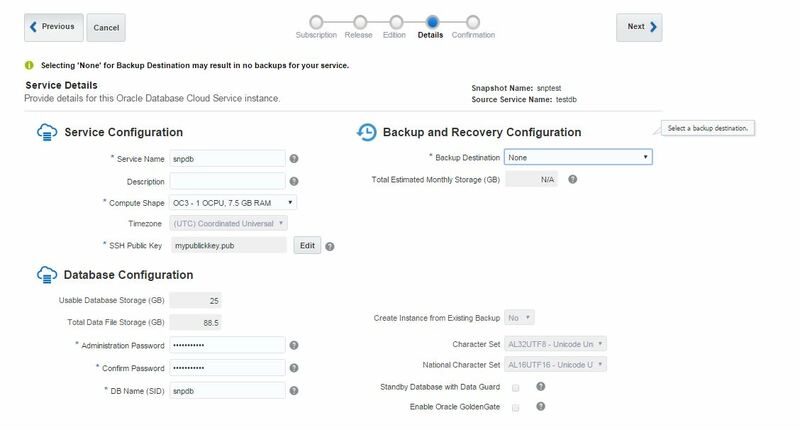 Sometimes, you might not need to create a standby database, but just store the backup of your database in Oracle Cloud Storage and then use it to create a database in the cloud in the feature. 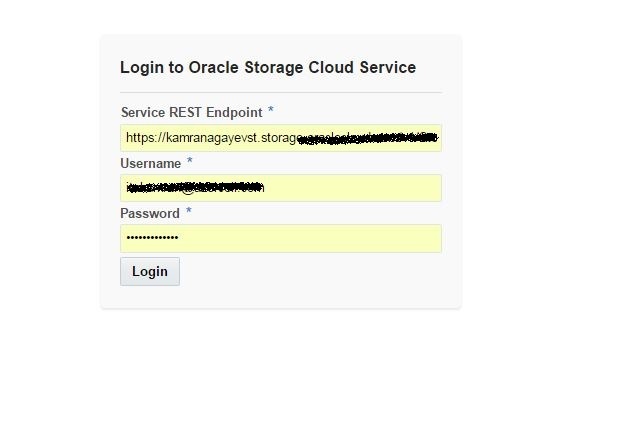 In this blog post I will show you how to take backup of on-premises database to Oracle Cloud Storage and use it to perform a disaster recovery by restoring/recovering from backup to the instance in the cloud and perform recovery of on-premises database using backups stored in the cloud storage using RMAN. 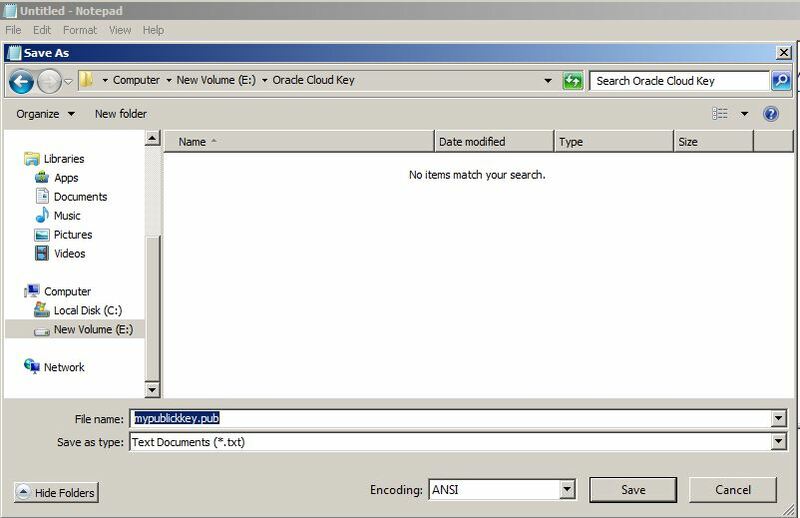 Oracle Database Cloud Backup Module wallet created in directory /home/oracle/wallet. 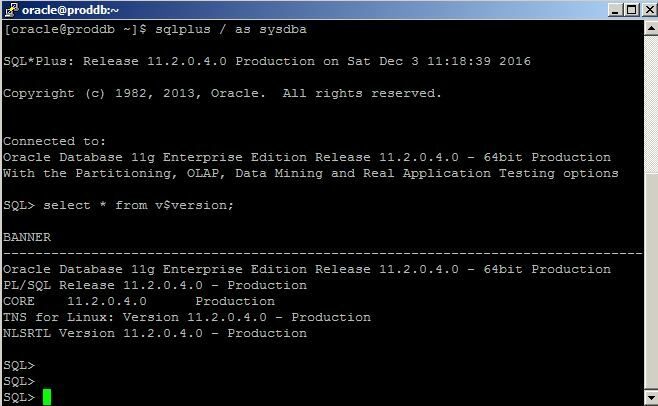 Oracle Database Cloud Backup Module initialization file /u03/oracle/product/11.2.4/db_1/dbs/opcPROD.ora created. Downloaded 26528348 bytes in 12 seconds. Transfer rate was 2210695 bytes/second. The name of on-premises database is PROD. Now connect to RMAN and change the following configurations. 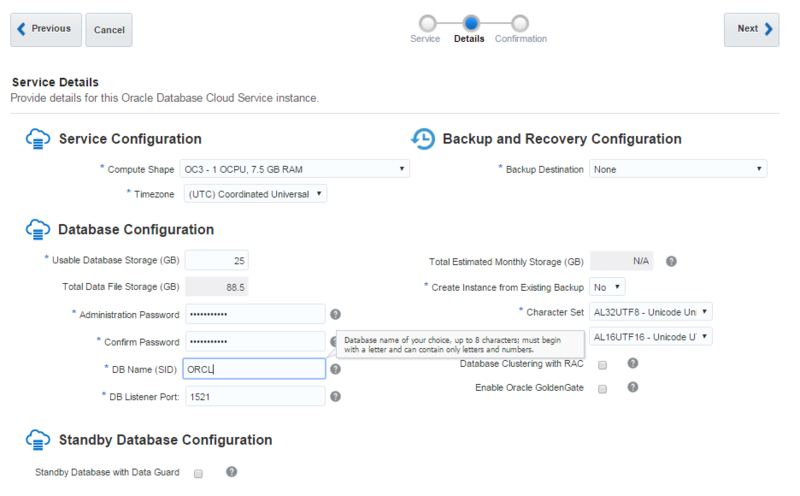 Configure the channel to use SBT library which enable to store backups to the cloud (libopc.so) and provide OPC_FILE destination that contains Oracle Backup Cloud Service container URL. Before taking the backup, create a table at on-premises database. We will query it after disaster recovery in the cloud db. 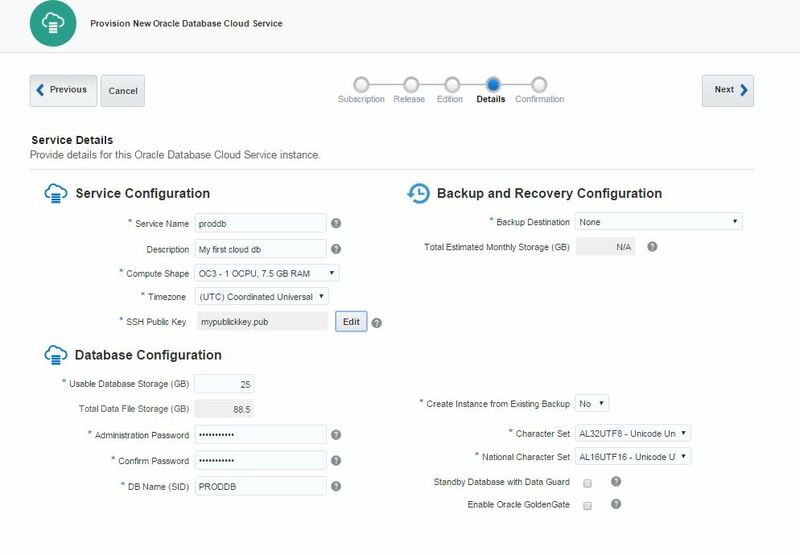 The backup command completed successfully and all backups are stored in Oracle Cloud Backup Storage. Server parameter file is restored. If you need to specify different location for some parameters, create a readable parameter file from it, make your changes, create a server parameter file from it and start the database in NOMOUNT mode using the restored (and modified) spfile. Great! 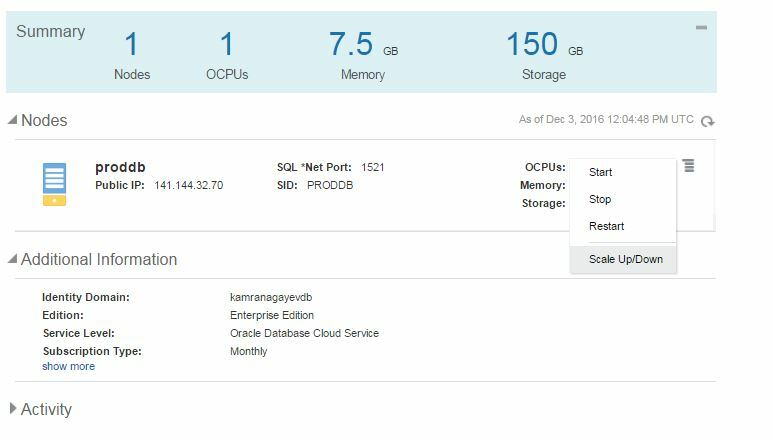 We have successfully performed a disaster recovery of on-premises database to the cloud using RMAN backups stored in Oracle Cloud Storage! 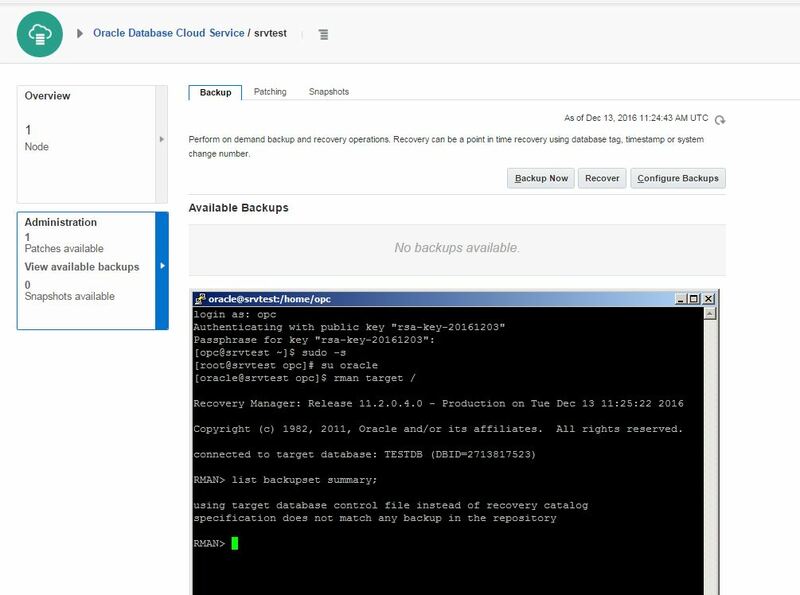 Now let’s use backups stored in the cloud to perform a recovery to on-premises database. Let’s create a new table, take backup of the datafile, corrupt a block of the datafile and recover it from backups stored in the cloud. 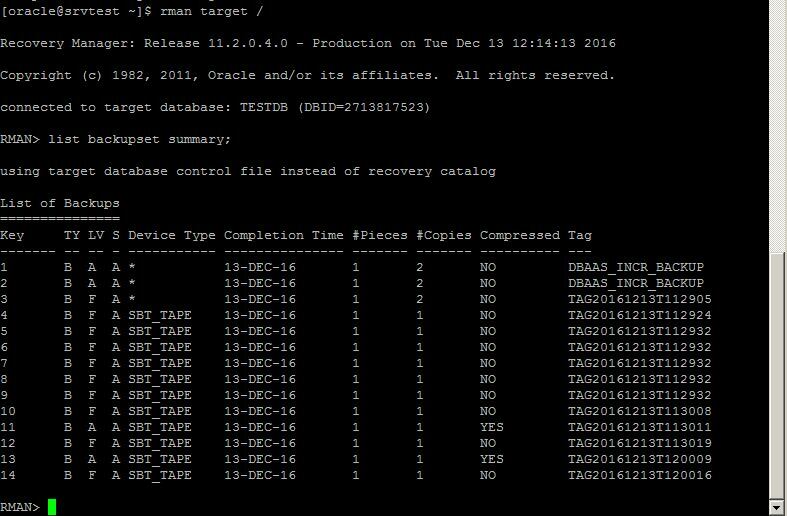 As you see, we used backups stored in Oracle Cloud Storage to recover a corrupted block of on-premises database. 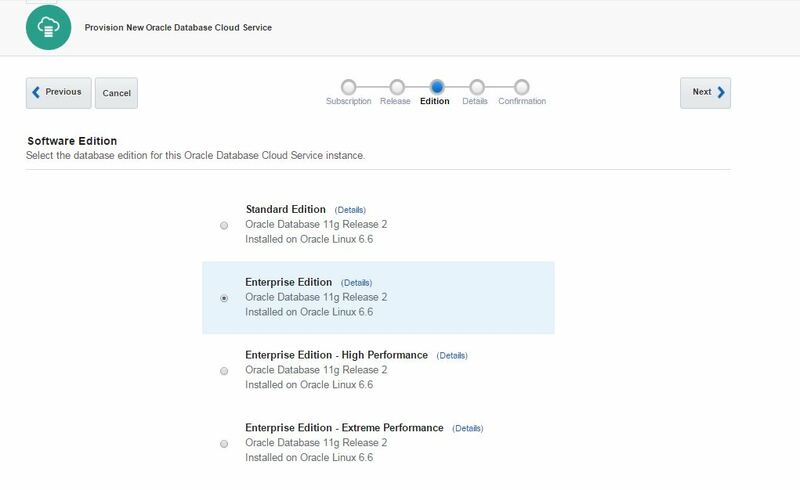 If you have a production database and you plan to build a standby database on the different geographic location, Oracle Cloud is the best option. 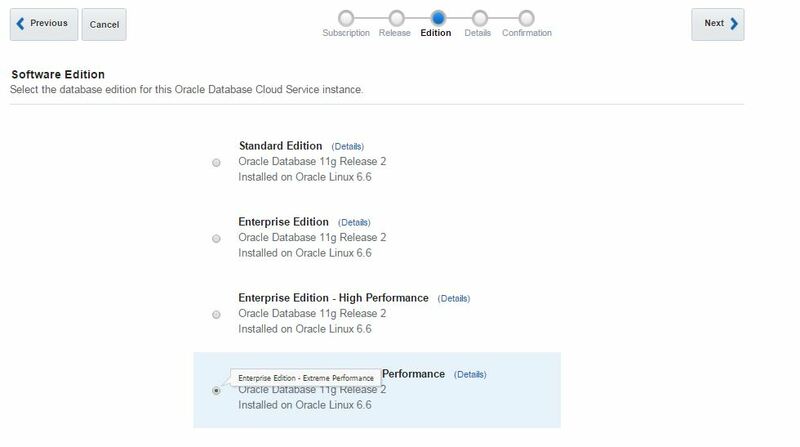 In this blog post you will see a step by step guide on how to create a Standby Database in Oracle Cloud for your on-premises database. Ok, now let’s get started. 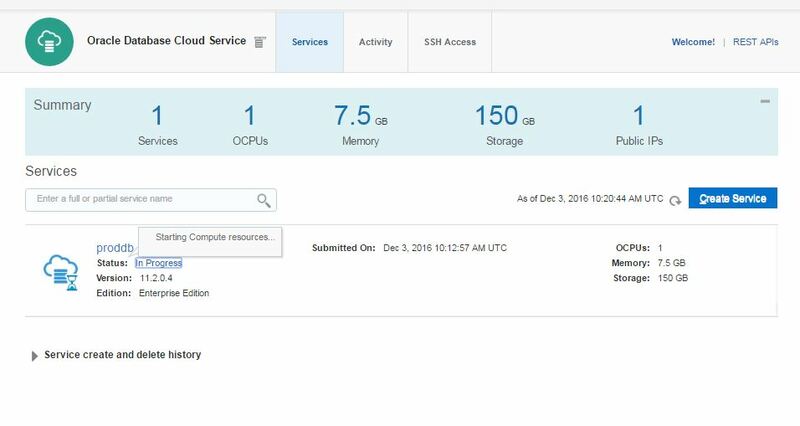 First of all, login to your Oracle Cloud account, switch to Oracle Database Cloud Service and create a new Service. Provide a service name, SSH Public Key (check above mentioned articles to see how to create a SSH public key), choose “Enterprise Edition – Extreme Performance” for Software Edition option and click Next. 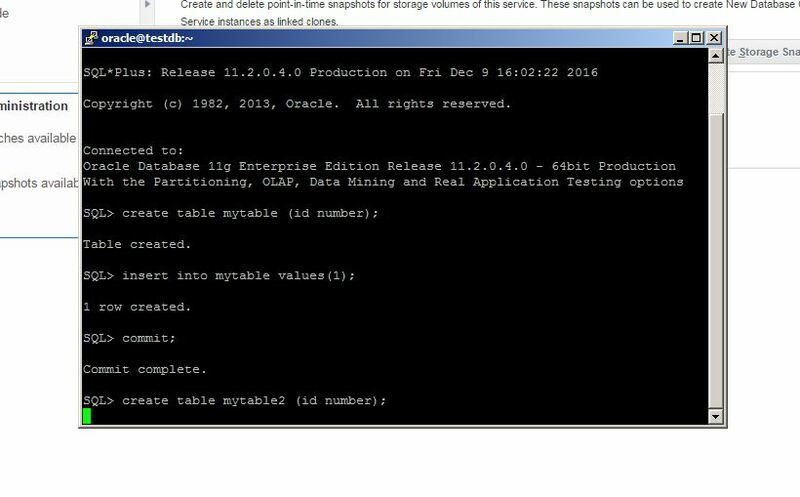 We will create a standby database based on on-premises production database, so in the next screen provide any database name. We will delete it once it is created and will create a standby database using DUPLICATE DATABASE command. 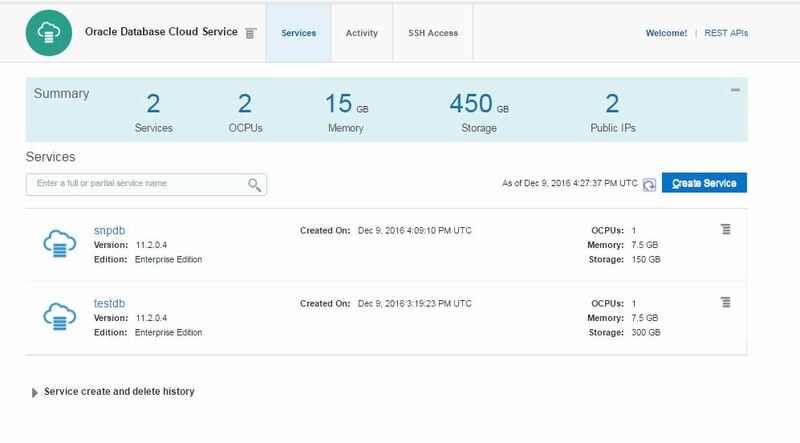 Review the configuration and click Create to create a Database Cloud Service instance. 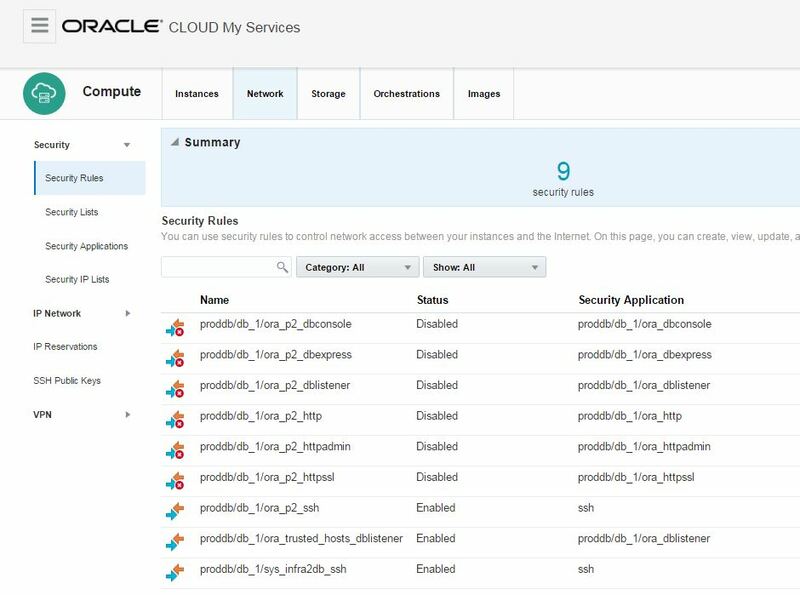 It take only 20 minutes to create a new machine, install an Oracle Software and create a new database in the cloud. Next, create a new virtual machine in your own laptop, install Oracle 11.2.4 on Linux (OEL is preferred) and add two network cards – “Host-only Adapter” and “Bridged Adapter”. “Host-Only Adapter” is used to connect to the virtual machine from the host machine and “Bridged Adapter” is used to connect from the Virtual Machine to the outside world (internet, cloud instance and etc.). Enable both network devices, make sure you have internet connection, edit tnsnames.ora file as follows and use tnsping to ping the cloud host. 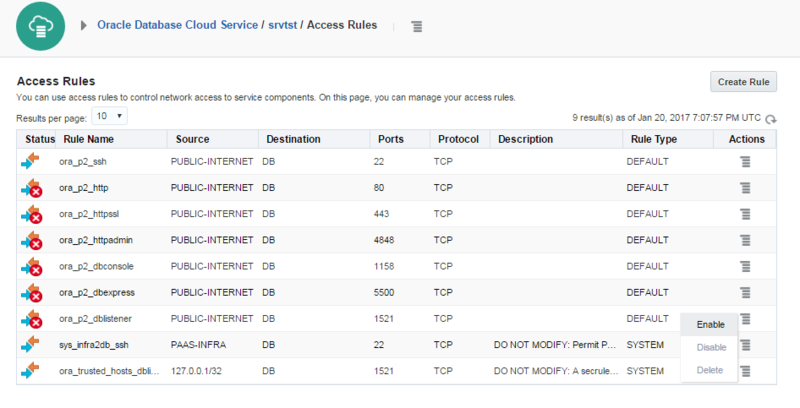 Before trying to connect to the new dummy instance on the cloud machine, you have to enable dblistener access rule. 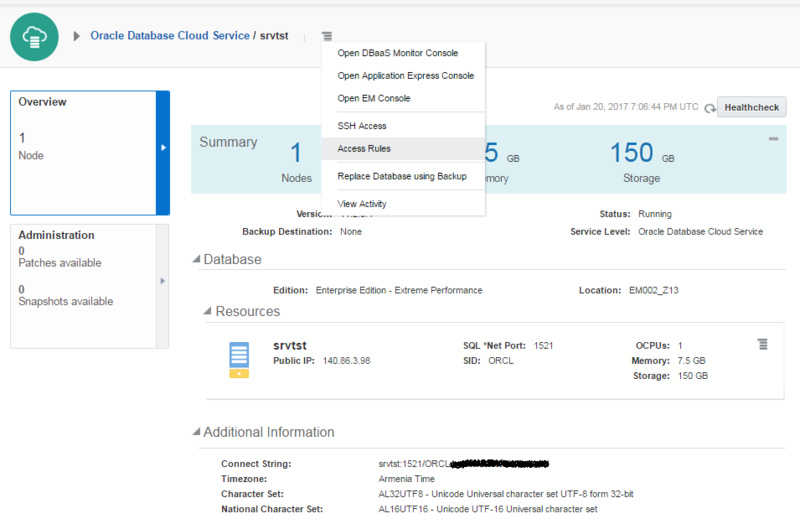 Open the database service and Access Rule from the menu. 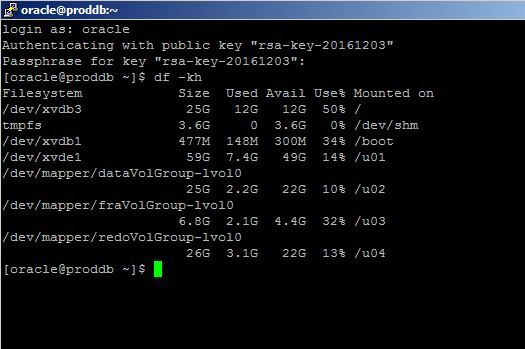 Now copy the source of id_rsa.pub file and append it to the /home/oracle/.ssh/authorized_keys file at the cloud machine. The authenticity of host ‘140.86.3.98 (140.86.3.98)’ can’t be established. RSA key fingerprint is 73:93:3c:62:41:d4:12:aa:09:07:c7:94:aa:ea:00:16. Warning: Permanently added ‘140.86.3.98’ (RSA) to the list of known hosts. Ok, the standby database is ready. 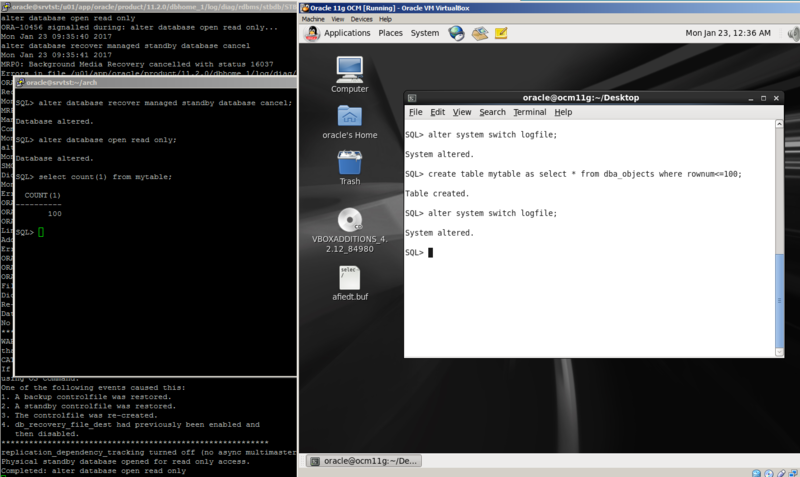 Perform some logfile switches, create a new table and switch log file again. Move the standby machine and check alert.log file to see if log files are moved and applied to the standby database. 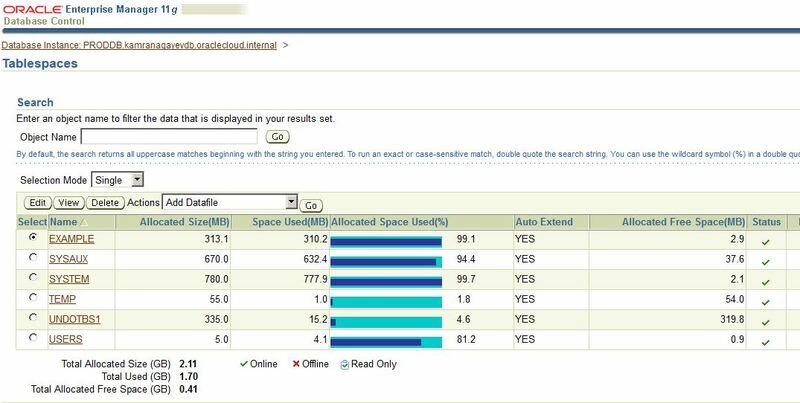 As you see, the table has been moved within archived log file to the cloud machine and applied to the standby instance. 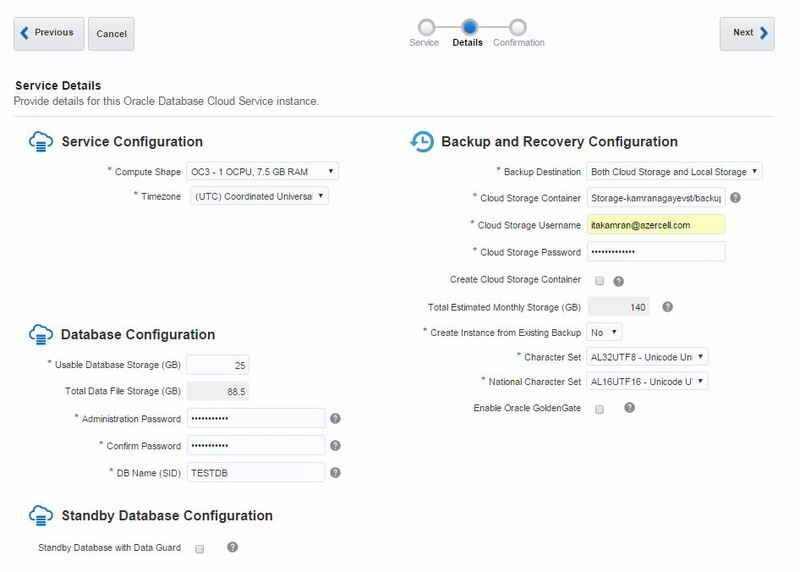 In the second screen of database service creation page, select “Both Cloud Storage and Local Storage” option as a Backup Destination, provide cloud storage container name, username and password and click Next. Review the configuration and click Create button. After creating the service successfully, open it and click on Administration section. 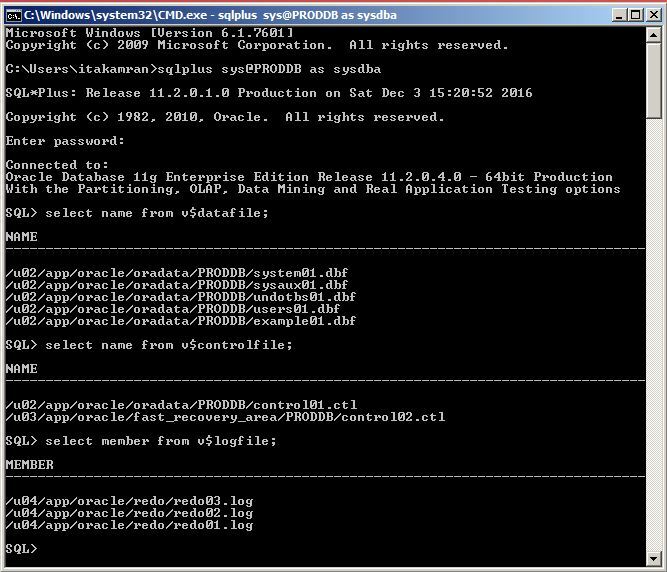 From the Backup tab click on Backup Now button to create a backup of the database. You can use RMAN and schedule your own backups as well. 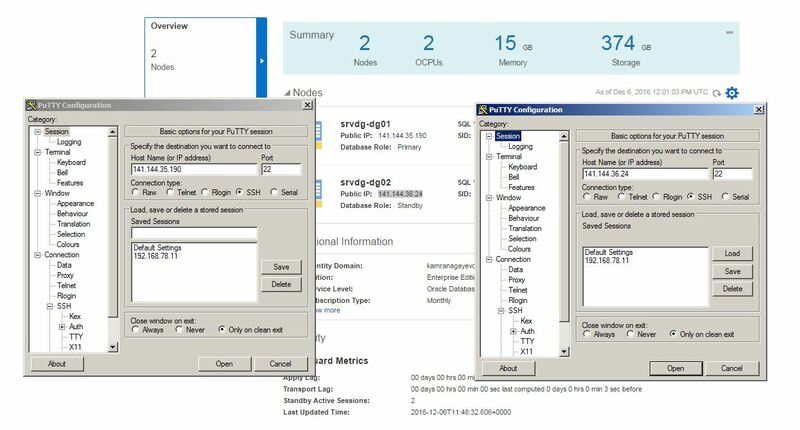 Now let’s try to recover the database to the specific point in time using DBaaS wizard. For this, create a new table with some data, get the current SCN number and drop the table. You can also take backup and recover the database from command line interface using bkup_api utility. Now let’s delete all backups, take a new backup and try the recovery. 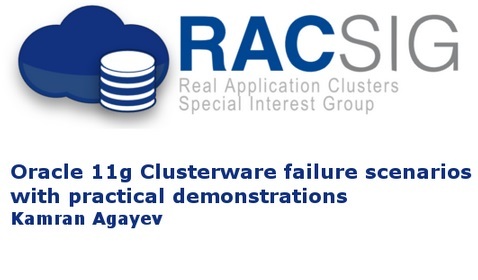 Now having valid backups, let’s create a new table, drop it and recover it using dbaascli utility. OREC:: Checking prerequirements before recovery process. OREC:: Changing instance to MOUNT stage. OREC:: Shutting down the database… Completed. OREC:: (RMAN) Startup MOUNT… Completed. OREC:: Checking for PDBs directories. OREC:: Checking for REDO logs. OREC:: Restablishing DB instance to the original stage. OREC:: Starting up database… Completed. 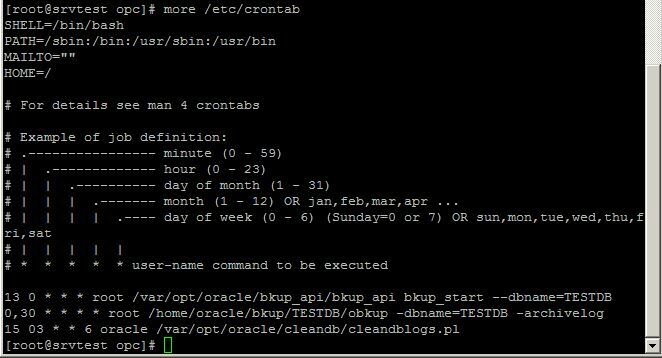 OREC:: Verifying backups dates ..
INFO : DB instance is up and running after recovery procedure. In this step by step tutorial, we will create a clone database for the development or testing purposes. 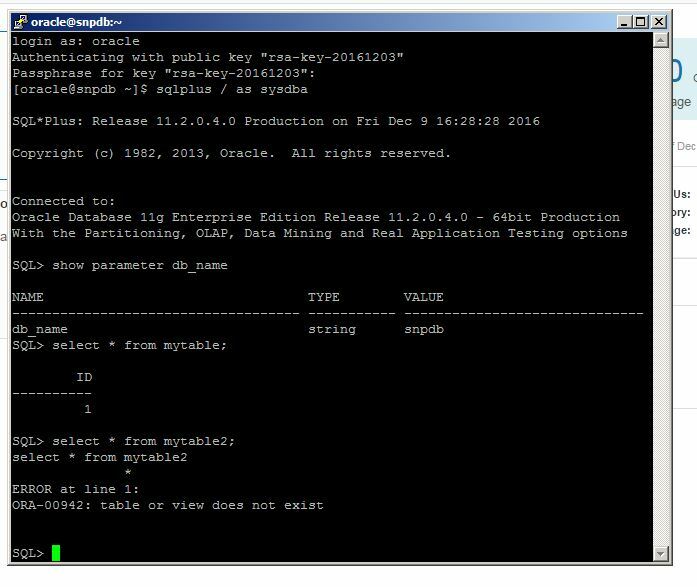 Using Oracle Database Cloud service you don’t need to configure and run DUPLICATE command of RMAN and create a clone of production database for developers team. 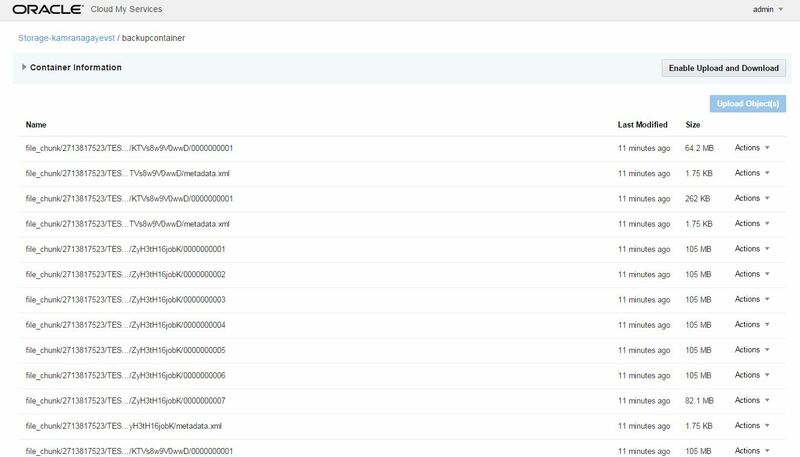 All you need is to create a snapshot of your production database and clone it in a few minutes. The first table was created before the snapshot and thus it’s there. 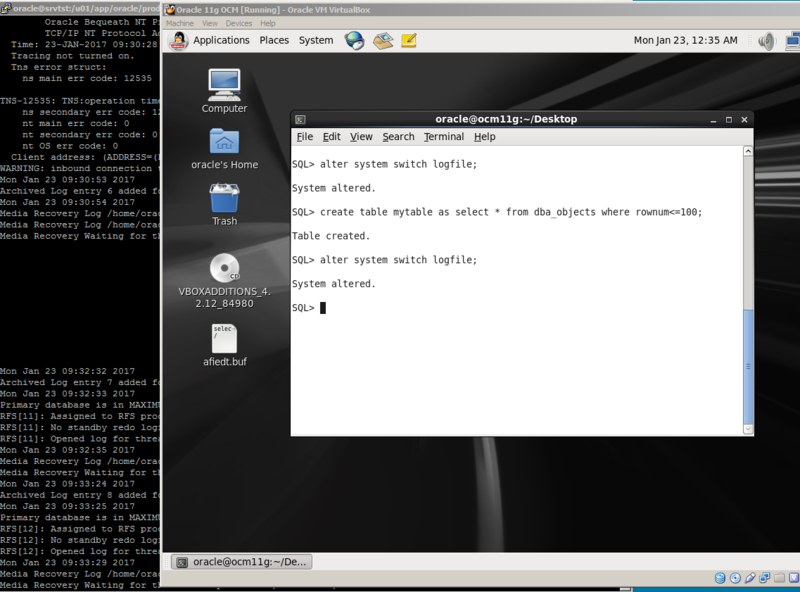 But the second table was create after creating a snapshot and is not available. 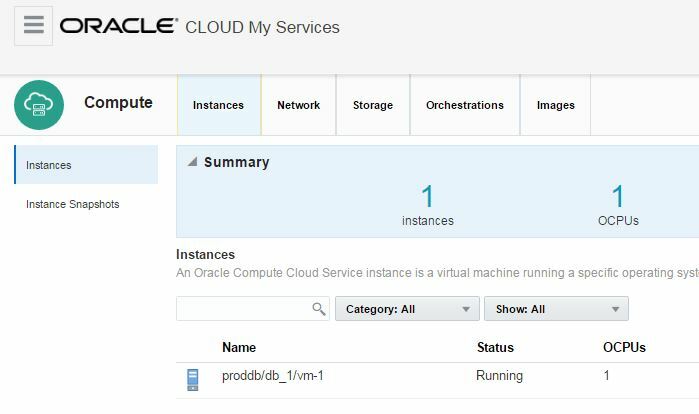 Step by step guide – create a primary and standby database in the Cloud! 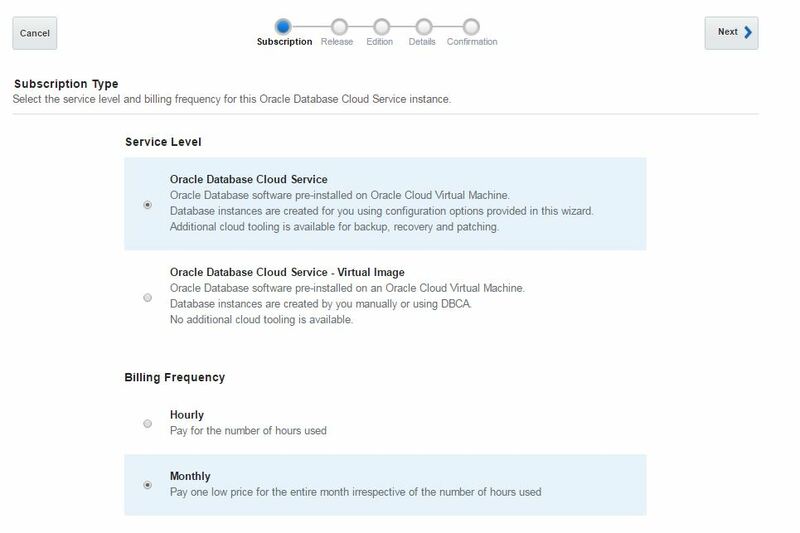 In this guide, I will show you how to create a primary and standby database in the cloud. 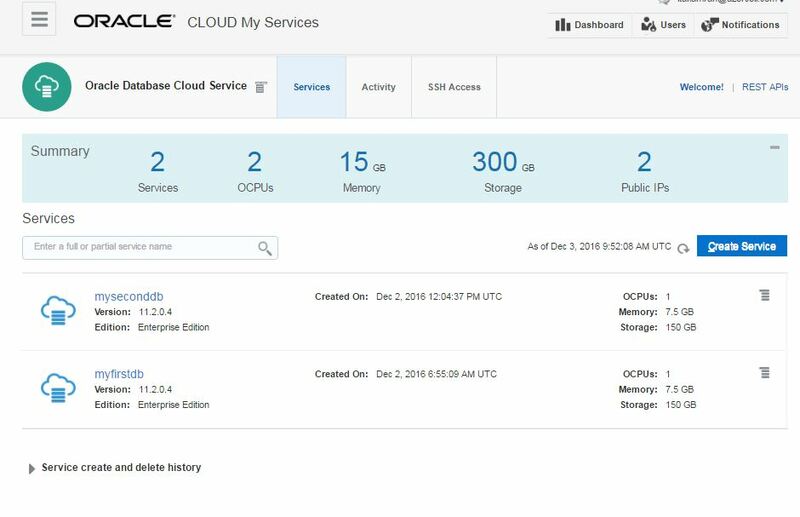 Login to your cloud account, switch to the Oracle Database Cloud Service page and create a new service. 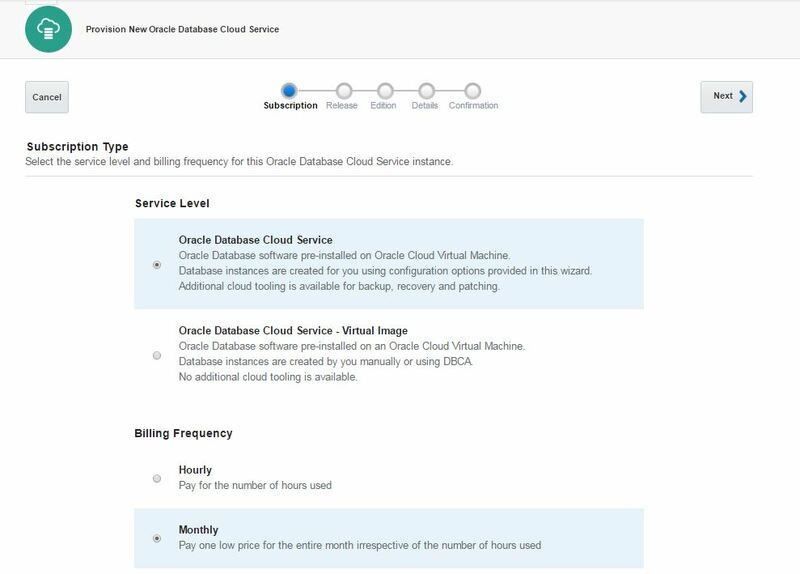 Select “Oracle Database Cloud Service” as a subscription type and click Next. 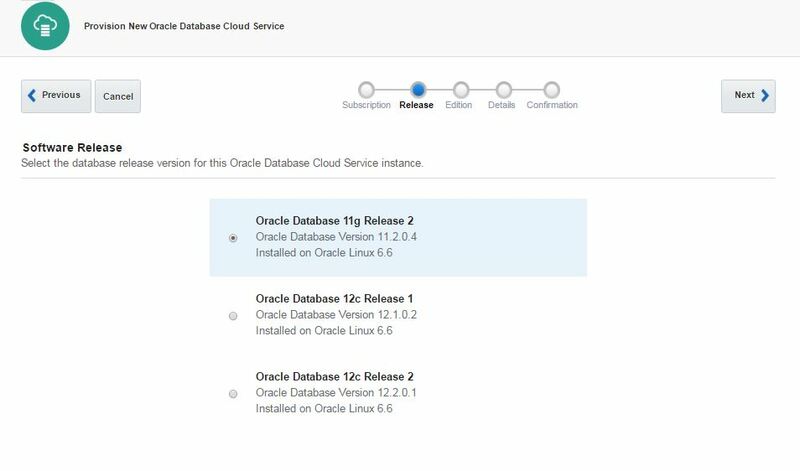 Select a database release and click Next. Connect to the both databases and check the DB_UNIQUE_NAME parameter. PRODDB_01 is set to the primary database, PRODDB_02 for the standby database. Also check LOG_ARCHIVE_DEST_2 parameter on the primary database. 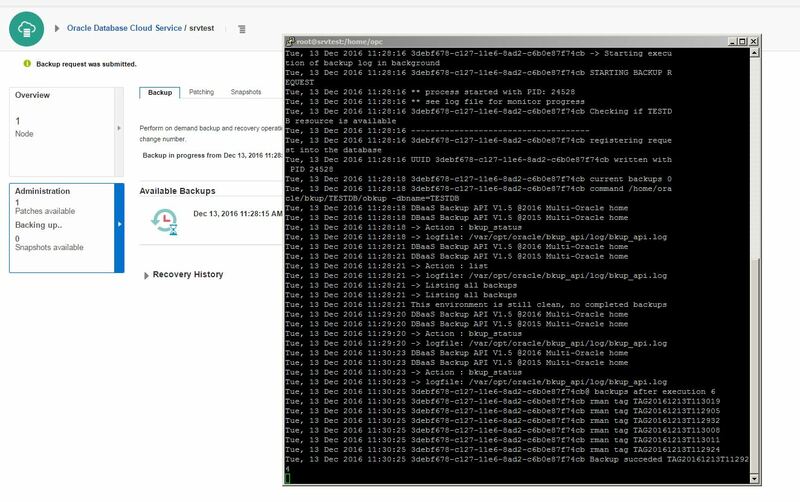 As you see, archived log files are shipped to the standby database using PRODDB_02 service. 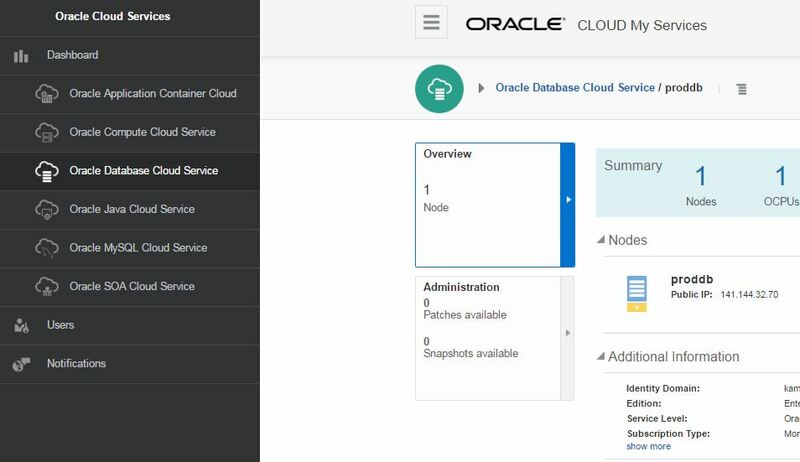 As you see, it’s very easy to create a database with its own standby database in the cloud! 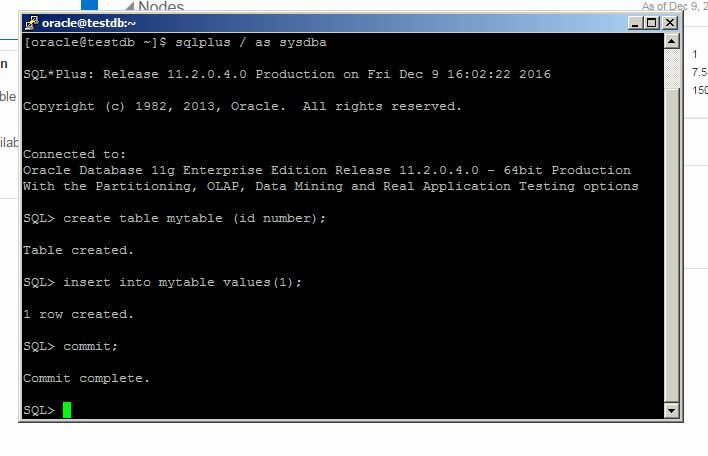 In this blog post I will share the steps to create an Oracle Database in Cloud. We will create a database service, create a second database in the same machine in a silent mode, access to the cloud machine with SSH and monitor the database with OEM. First of all, make sure you have an Oracle account. Open oracle.com and click on Register link to get a free oracle account. 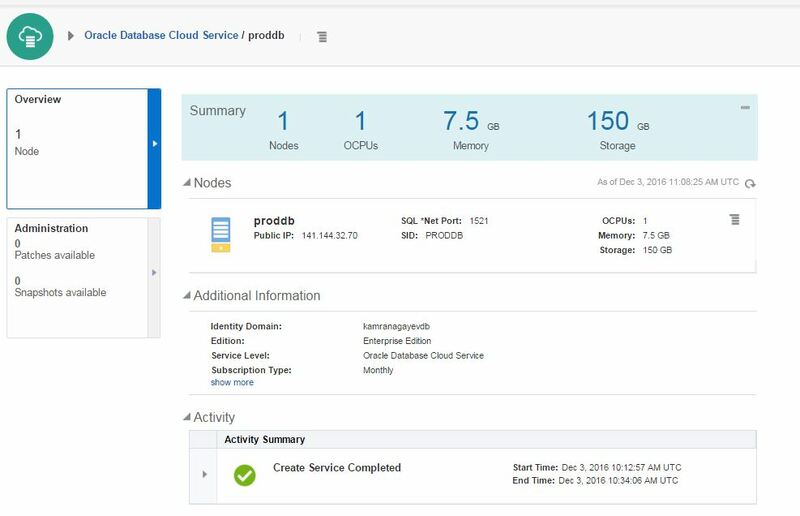 Next, open cloud.oracle.com, select “Compute” from Infrastructure menu and click “Try It” button to get a free trial account for 1 month. 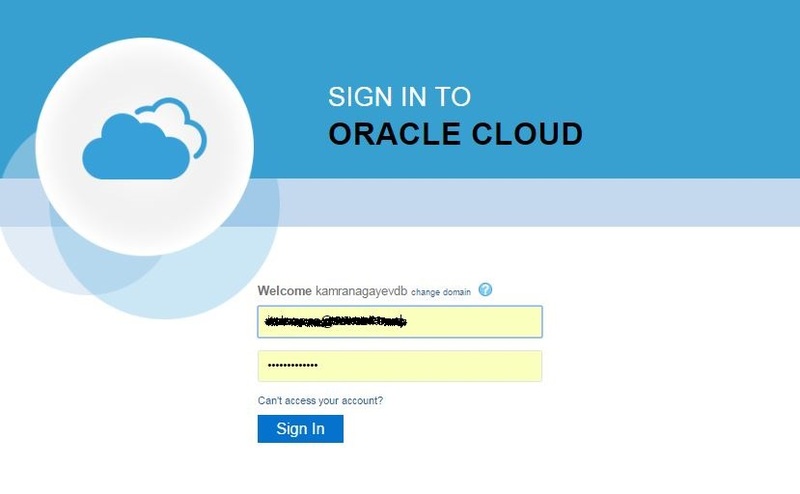 Next, login with your oracle account and register for cloud account. Make sure you don’t apply with generic email addresses like hotmail, gmail and etc. Instead, use your company address. After successfully registering you will get an email with your credential information. Click on the link specified in the email, provide username/password and login to your cloud account. 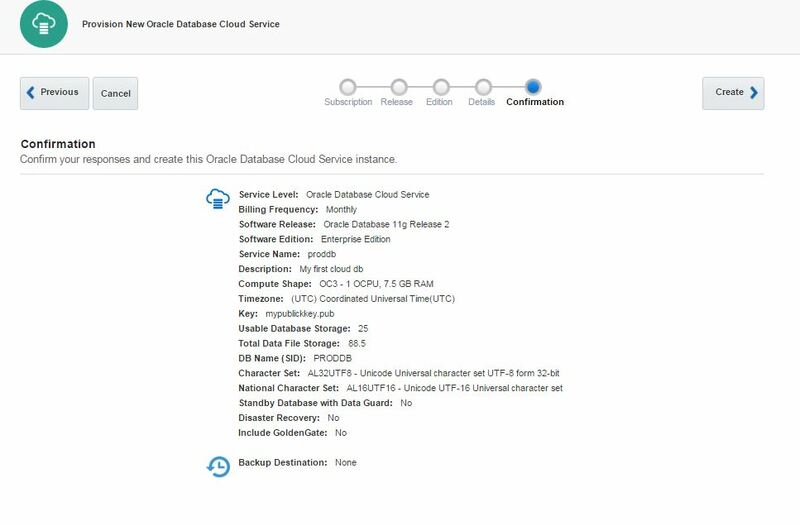 Click Oracle Database Cloud Service link. Click on the link under “My Service URL” to access list of cloud services you have. 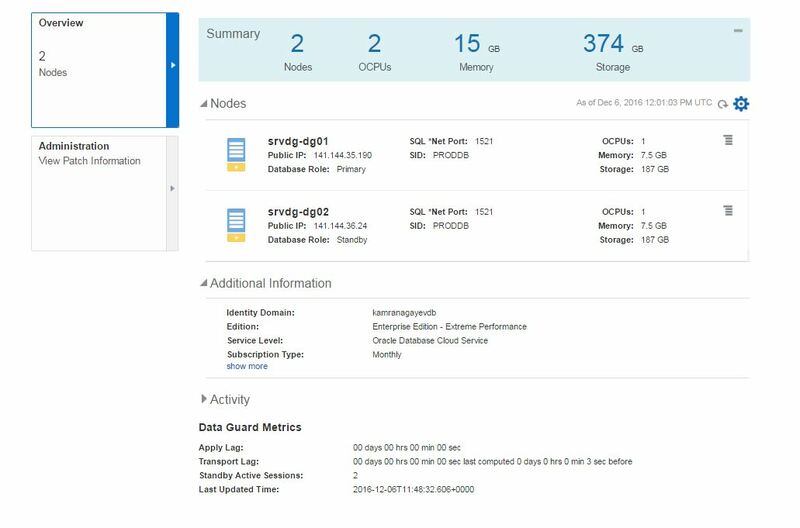 Next, Oracle Cloud Services dashboard will appear. In this page you will get list of database services. Here, I have two database services (myfirstdb, myseconddb). I have 7.5G memory and 150gb of storage provided for each service. Click Delete on the drop down menu for each service and delete both services. 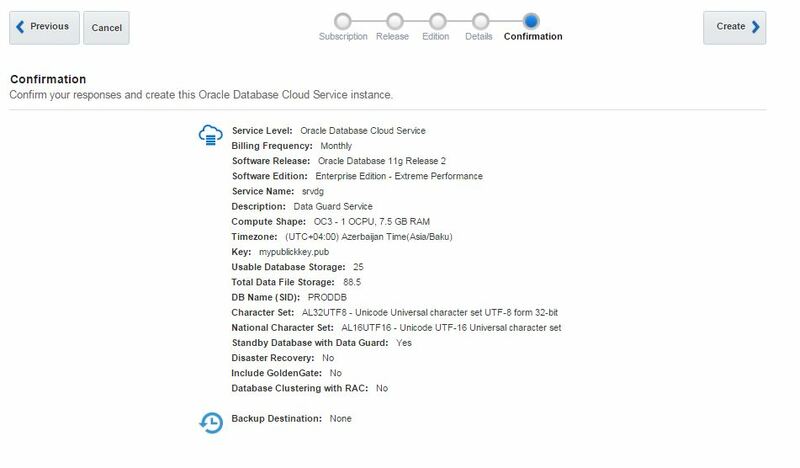 Select “Oracle Database Cloud Service” option to create a database using a wizard. For the billing frequency you have two options: Hourly and Monthly. It doesn’t make sense when you use a trial account. So select any of them and click Next. For the software release you have 3 options: 11.2, 12.1 and 12.2. Choose any of them and click Next. In the next page you will be asked to provide a SSH Public Key for the cloud service. For this, use Putty Key Generator executable to generate a SSH public key. Click on Generate button, move your mouse over the blank are to generate some action. To save a key as a public key, copy the text and save it. 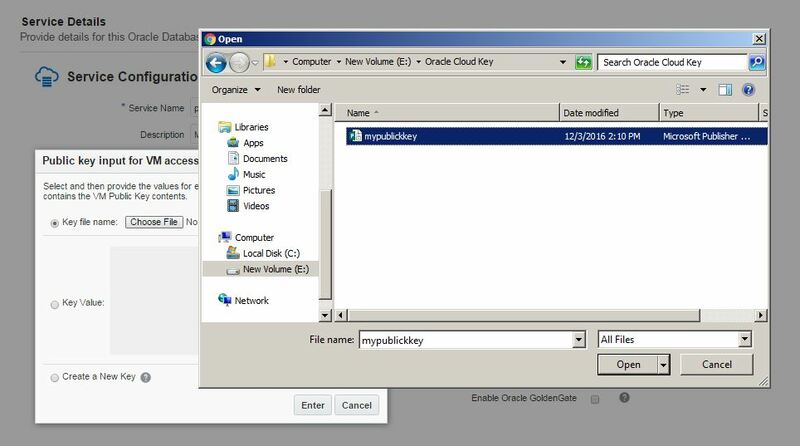 Provide this file for the “SSH Public Key” field of the database service creation wizard. 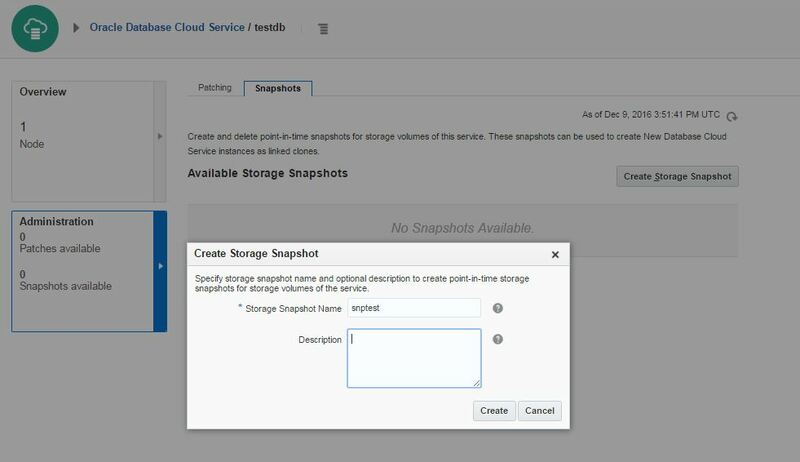 Provide the service name, database storage, select necessary compute shape and click Next. Click “In Progress” link to check the service creation progress. After a while, the service will be created successfully. Click on proddb link to open the service. 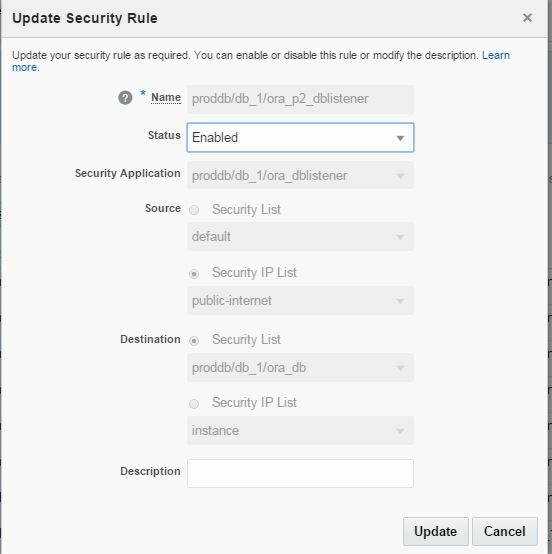 Before trying to connect to the database in the cloud from outside, you should enable dblistener security rule. 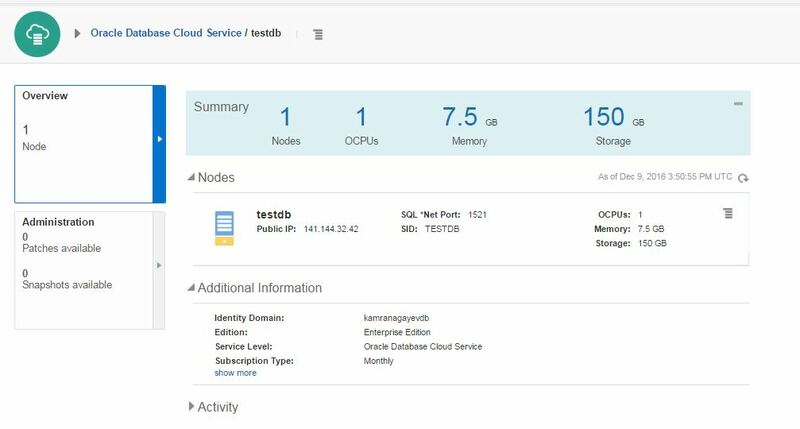 Open “Oracle Database Cloud Service” dashboard. When you click on Network tab, you will get list of security roles. Click on the menu icon for ora_p2_dblistener role and select Update. 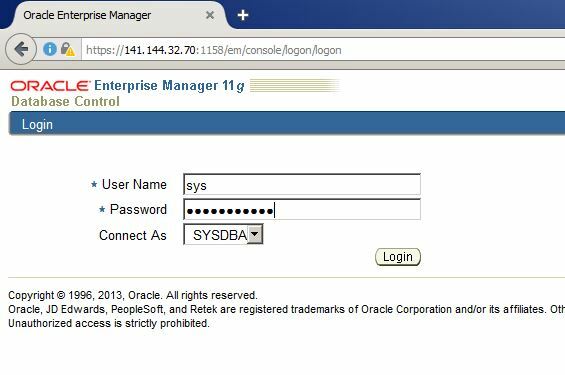 Enable the ora_p2_dbconsole security role to get access to OEM. Provide the IP of the virtual machine that is provided in the main page of the database cloud service and click Open. 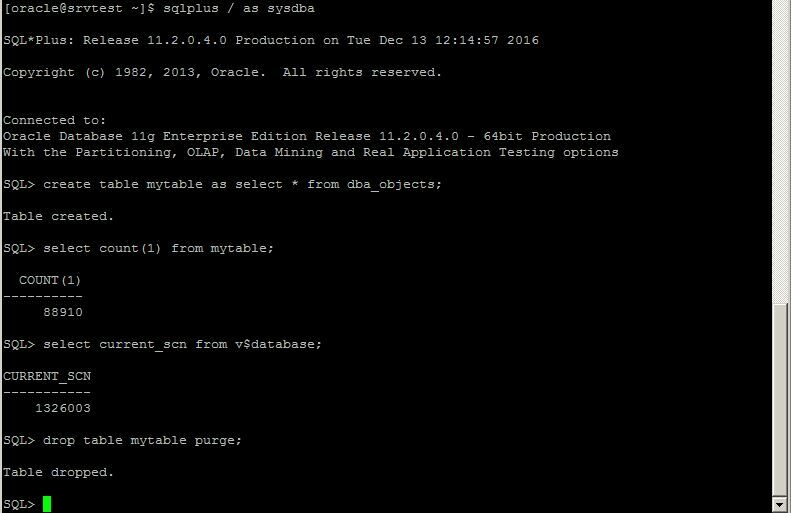 Look at the log file “/u01/app/oracle/cfgtoollogs/dbca/mydb/mydb.log” for further details. Run free command to check the free space of the machine. We have 2 databases running on this machine, so we have only 1g free memory. This is it! My second book is out! There are bunch of certified associate and professional Oracle DBAs around the world who plan to take an OCM exam, but without having a study guide it seems to be hard to prepare for that amount of different topics and make all kind of practical tests. And most of them, just give up. And having successfully passed the exam, I decided to help DBAs by sharing my preparation method with you. It has been 2 years since I have started writing the book about how to prepare for OCM 11g Exam. This guide covers all OCM topics with documentation references and MOS notes, with step by step installation and configuration instructions, practical and real-life examples. This book consists of 200+ practical scenarios, 260 screenshots and 300+ assigned tasks with specified time limit that makes you 100% ready for the exam. Every single topic is explained in a practical examples using both graphic user and command line interfaces. 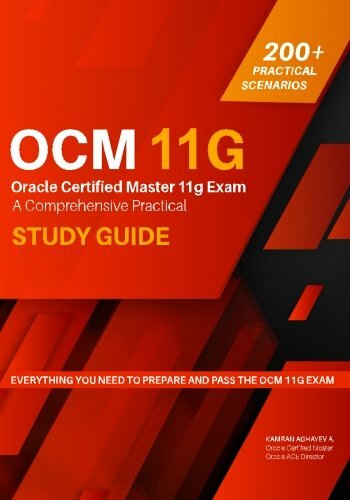 If you are a certified DBA and looking forward to become an OCM, then this study guide is for You! 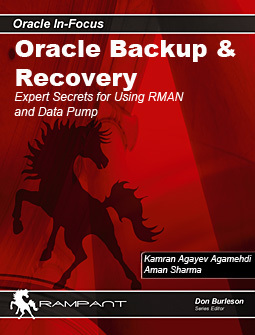 If you are a DBA and want to have a practical experience in different topics such as Oracle Enterprise Manager, Backup and Recovery, ASM, RAC, Grid Infrastructure, Performance Tuning, Data Guard and etc, then this book is for You! I changed the permission to “chmod 777” and checked the owner, used different patterns like “/orabackup/*”, “/orabackup/” and “/orabackup/*.bkp” but failed. Then I decided to create a folder under the /orabackup folder, moved all files in it and tried “CATALOG START WITH” command again, and succeeded.